Wherever you are stranded from your vehicle in Chanhassen, Minnesota, our expert staff of mobile automotive locksmiths works around the clock, 24 hours a day, 7 days a week! CALL DAY OR NIGHT! (651) 317-8498 In only minutes, you’ll be out of a jam! Every mobile staff automotive Chanhassen locksmith of Locksmith Chanhassen is bonded, insured, licensed, background-checked, and certified. 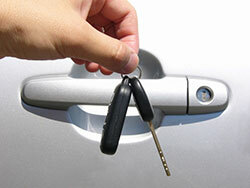 You can rely upon us to professionally and quickly handle any automotive lock and key problem that may happen. We service all automobile makes and models. Hire Locksmith Chanhassen, where excellent customer service is always key! Whether you need to drive for work or play, if you ever discover you are locked out of your car, it throws a major wrench in your day! You feel discouraged and irritated, and wonder if the help you need will ever arrive. But you don’t need to fret one bit, because Locksmith Chanhassen will get your right back on the road again soon!